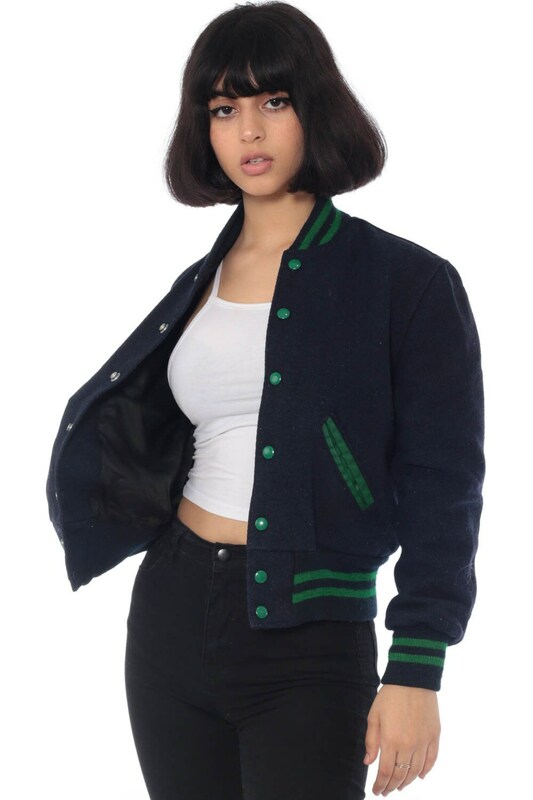 Vintage 80s jacket in dark blue wool with striped trim and snaps up the front. Youth size 14. Best fits women’s: Labelled youth size 14. Fits Extra small. Material: Shell is a wool blend with a Rayon / Acetate lining.